Harry Potter and Love Actually star Emma Thompson made a statement by breaking traditional dress code rules at Buckingham Palace yesterday. 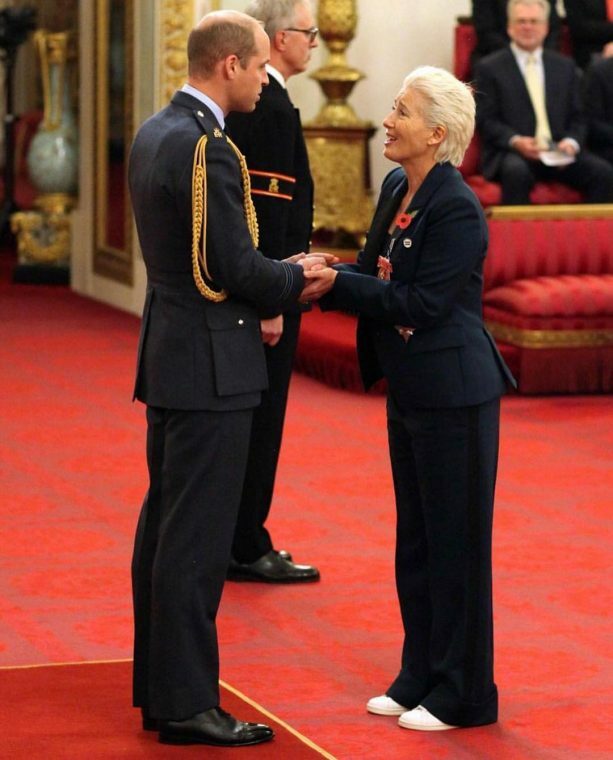 The actress received a Damehood from the Duke of Cambridge for her services to drama, while reprsenting British designer Stella McCartney in a chic teal suit and vegan Stan Smiths. Ms. Thompson has a reputation for opting for comfort in her style choices, after she epically tossed her Louboutin heels in favour of going barefoot at the Golden Globes in 2014. Here’s hoping that the London-born Dame will lead the way in declaring sneakers to be an acceptable form of footwear at glamorous events. Emma Thompson’s sustainable Stella McCartney x adidas Stan Smith Faux Leather Trainers are available to buy now at SSENSE.